Sometimes you just want to pick up your needles and knit, but you've got no projects on the go, or nothing to make in a hurry. During those times, I enjoy trying out new patterns and knitting up some items for charity. Through my other side hustle, Hatchling, I create a knitted item for my local hospital’s childrens’ unit for every order or newsletter sign-up made. It’s a wonderful way to keep creating as well as knowing that the items are going somewhere they are needed. 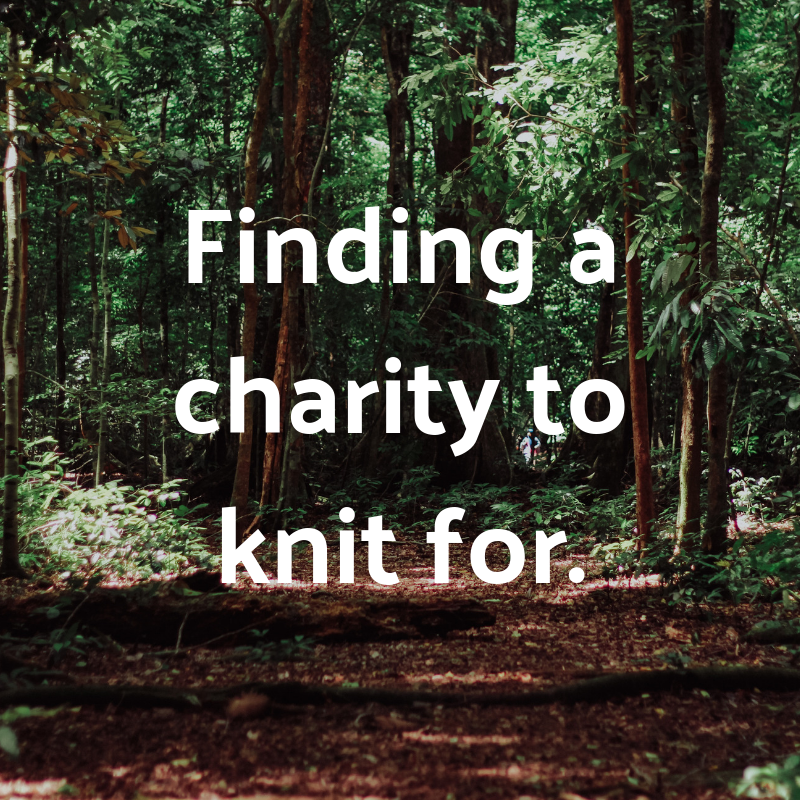 If you’ve been looking for somewhere to donate your knitted items, or looking for somewhere to knit with a purpose for, here’s just a small selection of places you could consider. When I knit for a charity, I spend most of my time knitting for prem and newborn babies at my local hospital Middlemore. The Kidz First part of the hospital helps newborns and their parents through that tough first little while (or long while, depending on the care the baby needs). I make a lot of beanies and booties for the Middlemore Foundation mainly. It’s worthwhile checking with your local hospital to see if they need anything in particular knitted as sometimes there can be a need for specific styles or sizes that you can sort for them. Want to learn more? Head to Little Squares for Little Sprouts website. Vests and booties are what Plunket needs. And they’ve even got their own pattern on their website for you to download and knit from. So easy! No searching high and low for the perfect pattern. Find out more on Plunket’s website. If you’re looking for something perhaps a little more challenging, we’ve been told that SPCA Auckland are always on the lookout for kitten toys, and for cat blankets. The blankets would be fun things to chip away at in front of the TV, but the kitten toys may take a little more focus. Knitted Knockers are knitted prosthetic breasts for cancer survivors. You’ll need to use nice and soft yarn for this one, and you can knit them in a range of sizes and styles. The Knitted Knockers organisation has patterns on their website, so that’s a great place to start. If you have plenty of leftover yarn that you need to use up, consider making Twiddle Muffs for your local rest homes. Twiddle Muffs are basically a knitted muff that has several fiddly attachments fixed to it. They’re great for dementia and alzheimers sufferers as it can keep their hands occupied, providing a simple yet effective type of therapy. In Matakana, New Zealand, there’s an animal sanctuary that often needs warm, cozy nests for injured and baby native birds. They’re also often on the lookout for chicken jumpers and bedding for abused farm animals. I’ve made a chicken jumper before and I can tell you they’re super cute to make. I’d highly recommend.